January 2nd, 2019 – Two recently constructed solar farms totaling 5.3 Mega Watts in the Town of Islip commenced full-scale commercial operation on December 19, 2018. The projects are developed and constructed by Agilitas Energy, a leading commercial solar developer headquartered in Massachusetts. This marks the completion of Agilitas Energy’s first tranche of projects within its 15MW, 7-project Long Island portfolio. 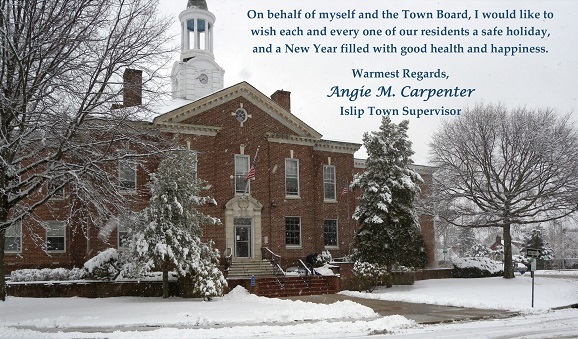 December 21st, 2018 – Town Supervisor Angie Carpenter and the Islip Town Board welcomed students and members of the Islip High School Athletic Department at December’s Town Board meeting, in recognition of the school’s three varsity teams who won championship titles this fall. The three teams: Girls Soccer, Gymnastics and Tennis, each had outstanding seasons, culminating in a string of big wins for the school.